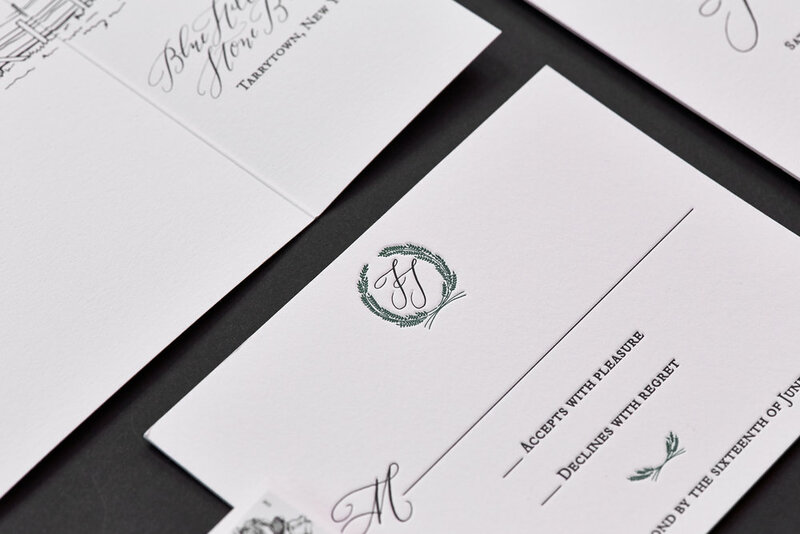 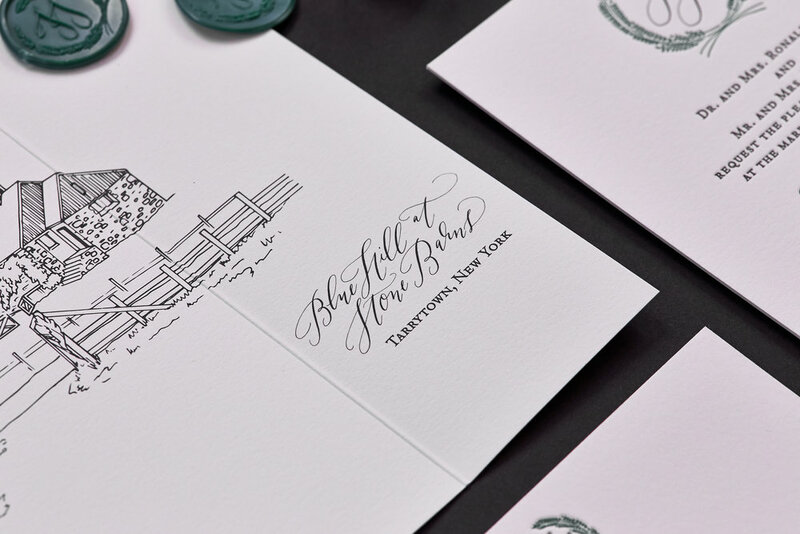 A classic modern letterpress suite featuring a custom illustration of Blue Hill at Stone Barns. 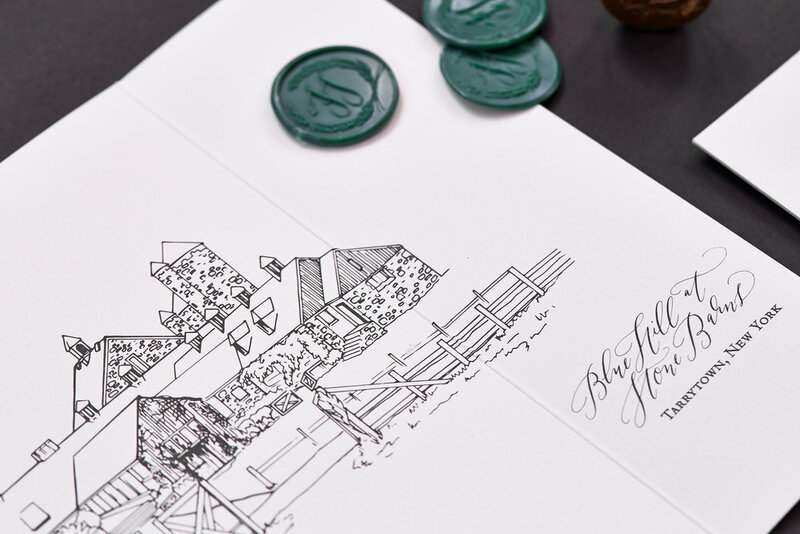 Simple white gatefold secured closed with a custom wax seal. 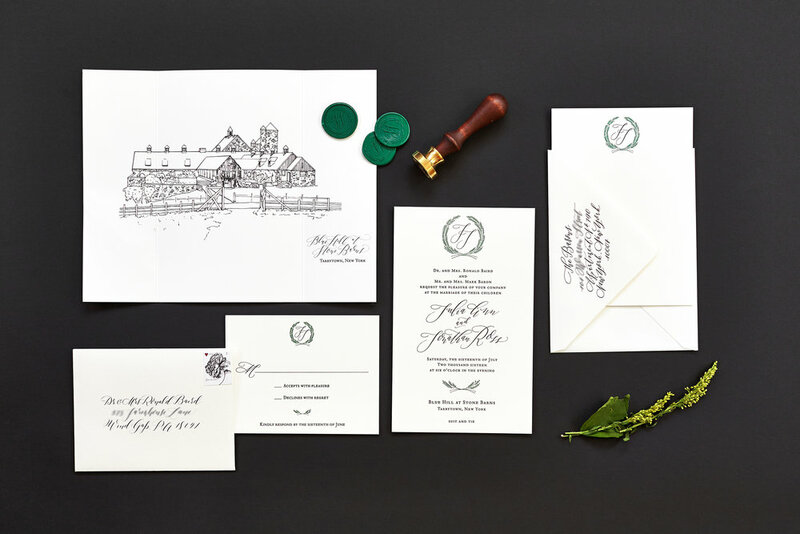 Hand calligraphed fonts.